Linear, with minimal frames and hidden heat vents. Traditional log firebox with beveled frame. 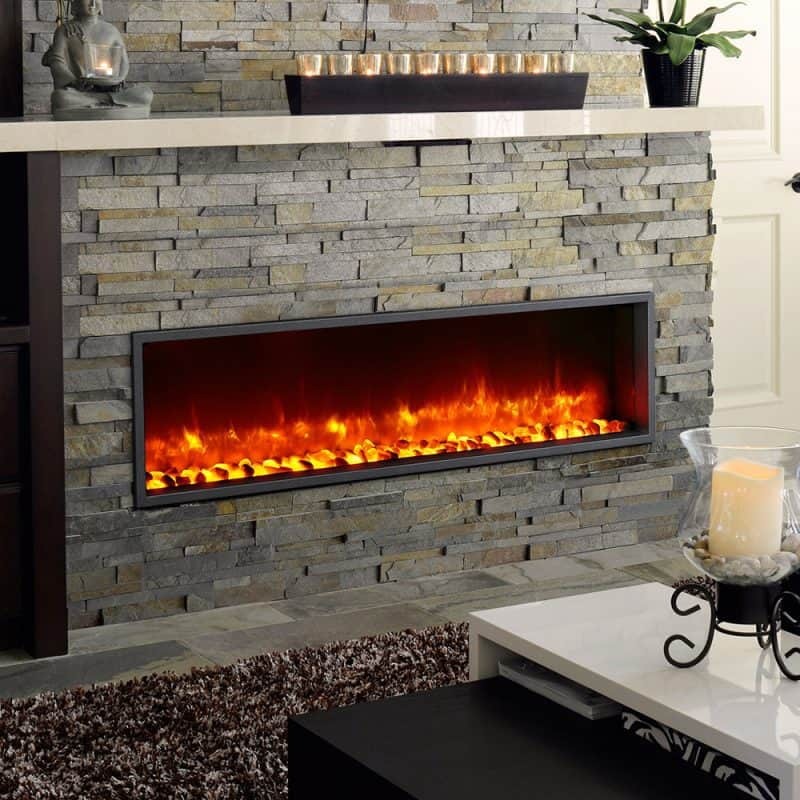 Dynasty Fireplaces is a well-respected family business which opened its doors in Richmond, British Columbia back in 2007. The company has grown over the years and is focused on developing, designing and perfecting its extensive line of products for the demanding North American market. 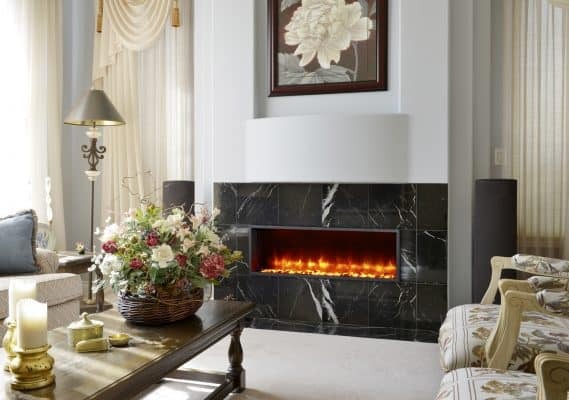 Customers often turn to Dynasty when they’re in the market for top-class electric fireplaces. 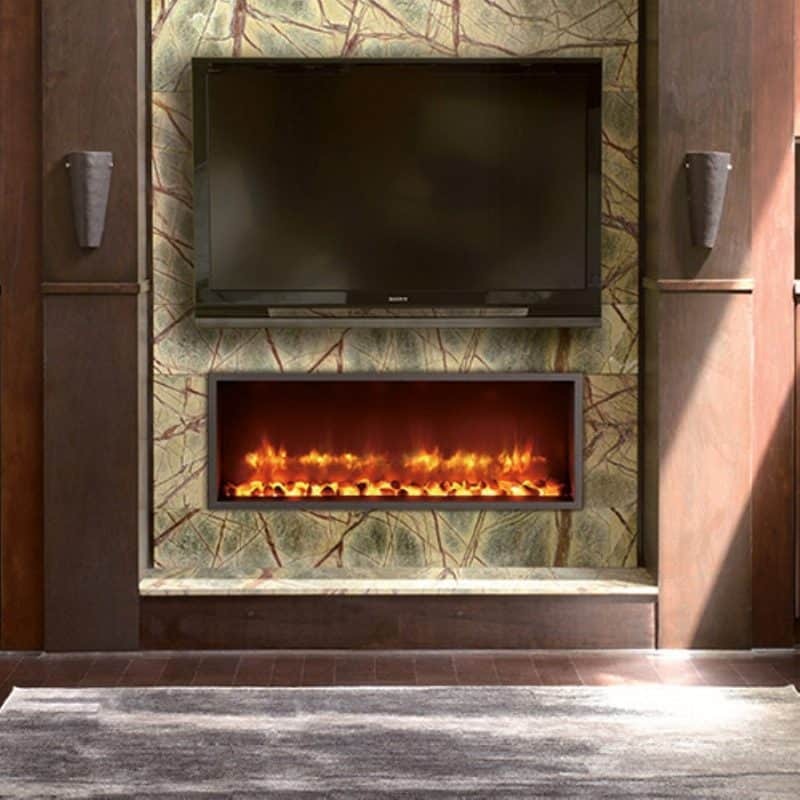 This high-tech electric fireplace provides any room in your home or office with soothing, flickering flame effects. It can be directly inserted to wood, tile, drywall and various other types of finishes for a convenient flush installation. In addition, the firebox can be installed into an existing fireplace. 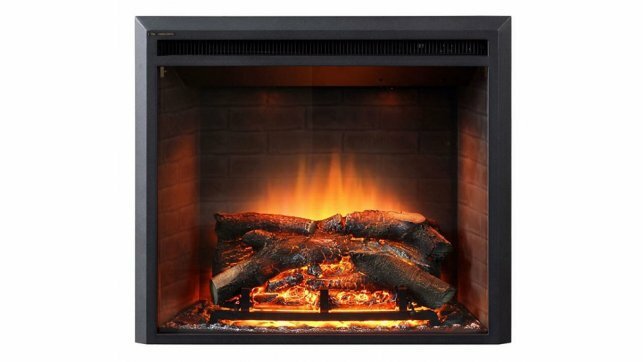 This 32-inch unit features life-like artificial wood logs which can be enjoyed visually even when it’s not in use. The glowing embers and logs use modern LED technology while the fan-forced heater serves up 5,200 BTU’s of heating power for areas up to 400 square feet in size. It also includes a multi-function remote control for convenience. This unit is also available in 28″ and 30″ sizes. Your room will have an awe-inspiring focal point with this ultra modern, luxurious 44-inch built-in electric fireplace by Dynasty. It features a crystal ember bed and unique flame effects which can be viewed in blue and/or yellow. The flame brightness can be adjusted to suit your mood and the room’s ambiance. The fully-integrated supplemental heating unit can easily and quickly warm areas of up to 400 square feet with its convenient multi-function remote control. This allows you to adjust the temperature, brightness, flames and colour from the comfort of your couch as well as turn the unit on and off. 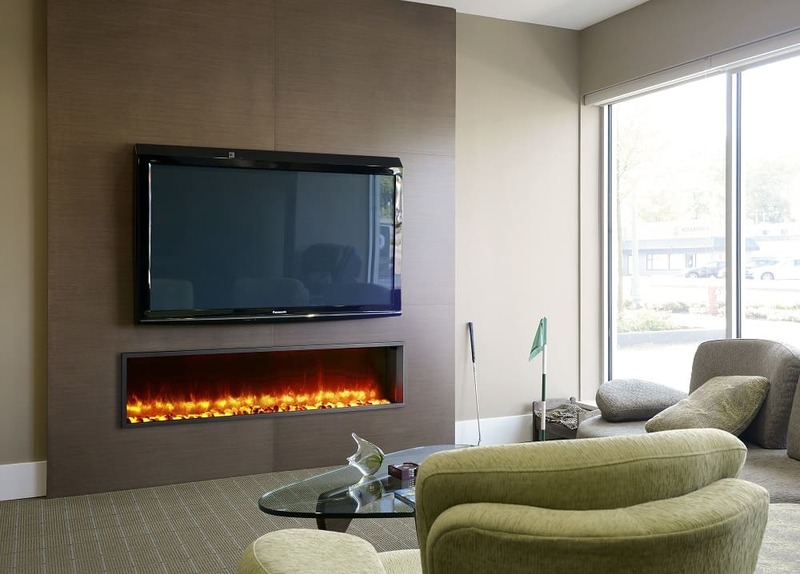 The 44-inch fireplace can be directly hardwired to a standard 120 volt connection, with no need for special venting. This low-profile design is also available in 35″, 55″, 63″ and 79″ widths. 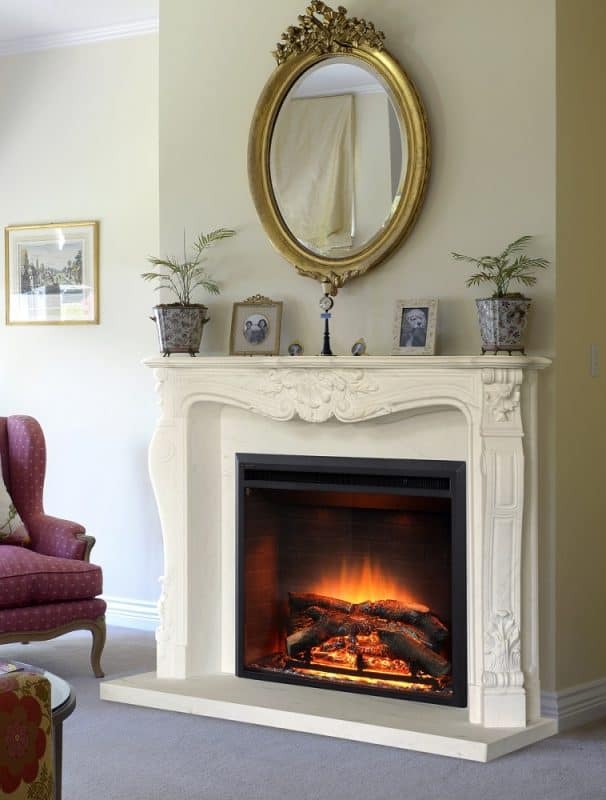 The right fireplace can create a beautiful and comforting focal point in your home. 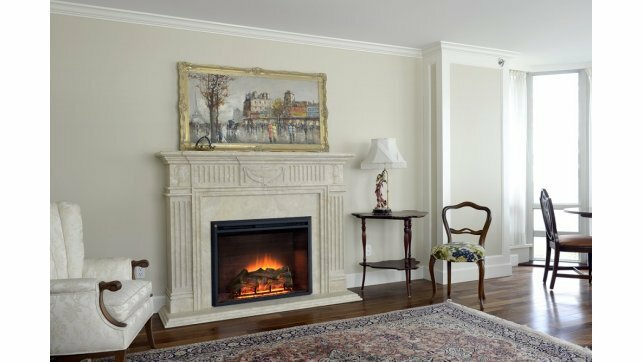 Dynasty offers a variety of design options to help you find the fireplace that will be the right fit for you. The brand stays on top of the industry by keeping up with current design trends and styles. Whether you want your fireplace to be the large focal point of your room or a small trendy accent piece to spark conversation, you can find what you are looking for with a Dynasty electric fireplace. Here at Stylish Fireplaces, our large showroom features a selection of Dynasty fireplaces. Stop in and visit our showroom today and we will help you find the perfect match for you!